Family and friends can make all the difference to a pregnant mom or new mother. You are there to support, love and encourage her through this important stage in her life! Family and friends can also make a big difference in the life of a new or expecting dad. You play a very important role! Support the special men and women in your life through a very important time in their life with the below tips. Sign up for text4baby – Simply text “BABY” or “BEBE” to 511411 or download the app on your smartphone. Then follow the instructions. When asked, identify yourself as a father, grandparent, friend, etc. You’ll be asked questions about your loved one’s due date, your ZIP code and your language preference. After that, you’ll start getting 2-3 free messages a week. Each message is timed to your loved one’s due date or the baby’s birthday. Learn more at the text4baby site. After you’ve signed up, encourage the mom in your life to do the same! It’s so important that the new baby sleep safely – alone, on his back and in a crib. Too many babies die from SIDS because they were sleeping with an adult or another child or on a sofa or on a soft mattress. The safest way for babies to sleep is on their backs. When they sleep on their bellies they can suffocate. Babies do not control their breathing the way older children do. They also don’t wake themselves up when they stop breathing. When they sleep in cribs with baby bumpers, blankets or toys, their noses can get covered and they can stop breathing. Learn more about how to make a safe place to sleep when the baby stays with you at www.roomtobreathe.org. New babies need protection from illnesses like whooping cough and the flu. But they’re too little to get shots for a lot of things. So it’s important to ask everyone who will be around the baby to get vaccinated. If everyone the baby has contact with is protected, the baby will be too. The Immunization Clinic at the Waco-McLennan County Public Health District offers all recommended vaccines for children and adults. Call (254) 750-5410 to schedule your appointment today! Visit the March of Dimes website to learn more about how to support your loved one’s healthy pregnancy. There you’ll find great videos and advice to share with the new family. Share breastfeeding tips with your loved one by telling them about Every Ounce Counts – the Texas breastfeeding campaign. Moms can get help with breastfeeding positions and personal birth announcements. They’ll also get great info about the benefits of breastfeeding for mom and baby. There’s even a section for dads! Also share with your loved ones Waco breastfeeding resource. Encourage the mom in your life to get involved in the many classes and programs offered in Waco for expecting moms. Centering is group prenatal classes in which 8-12 women at similar points in their pregnancies meet for 2-hour sessions over 10 visits. At these visits, they will learn how to have a healthy pregnancy and delivery while meeting other expectant mothers. In Waco, the Family Health Center hosts Centering classes. Care Net Pregnancy Center offers free educational classes on pregnancy, parenting, and life skills. Visit their class calendar to learn more about how to get involved. Providence Hospital offers classes on childbirth, breastfeeding, infant CPR, and newborn care. To learn more, contact childbirth@phn-waco.org or visit their page. Baylor Scott & White Hillcrest also offers a variety of classes on topics including childbirth and breastfeeding. To learn more, check out their website. For first time moms, share with them about Nurse Family Partnership. NFP is a program that empowers low-income, first-time mothers to become confident parents and strong women through nurse home visits that begin early in the mother’s pregnancy and continue visitation until the child’s second birthday. Nurses provide support, resource connections, education and counseling on health, behavioral and self-sufficiency issues. More than 2.5 million grandparents are raising grandchildren. The challenges in this important role can be different the second or third time around. Learn about how grandparents are doing in Texas with the GrandFacts fact sheets. 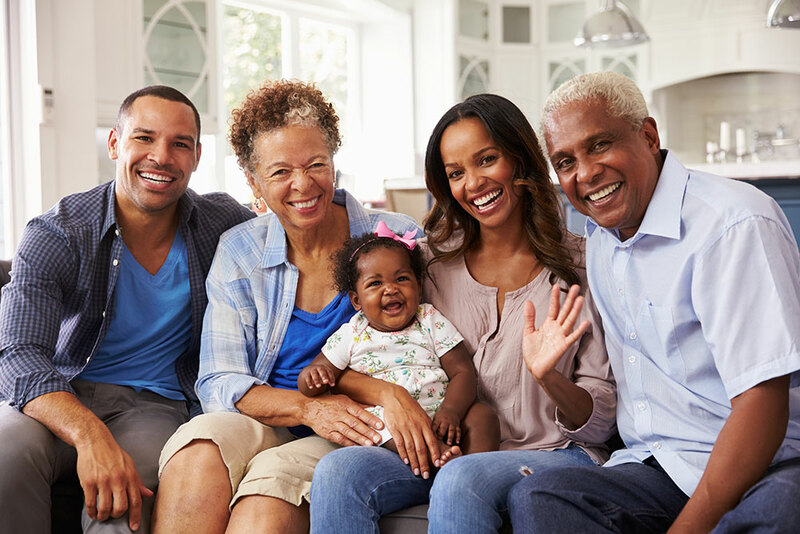 If you are a grandparent raising grandchildren, the Methodist Children’s Home in Waco 254-755-4684 provides case management, referral services, and support groups.